The CatIt litter scoop has been specially developed for removing clumping, coarse cat litter granules. The holes in the scoop allow the clean granules to fall back into the litter tray. The scoop area is large, making it quick and easy to clean the litter tray. The base of the handle is flat so the CatIt litter scoop can be stored flat, hanging or standing up. 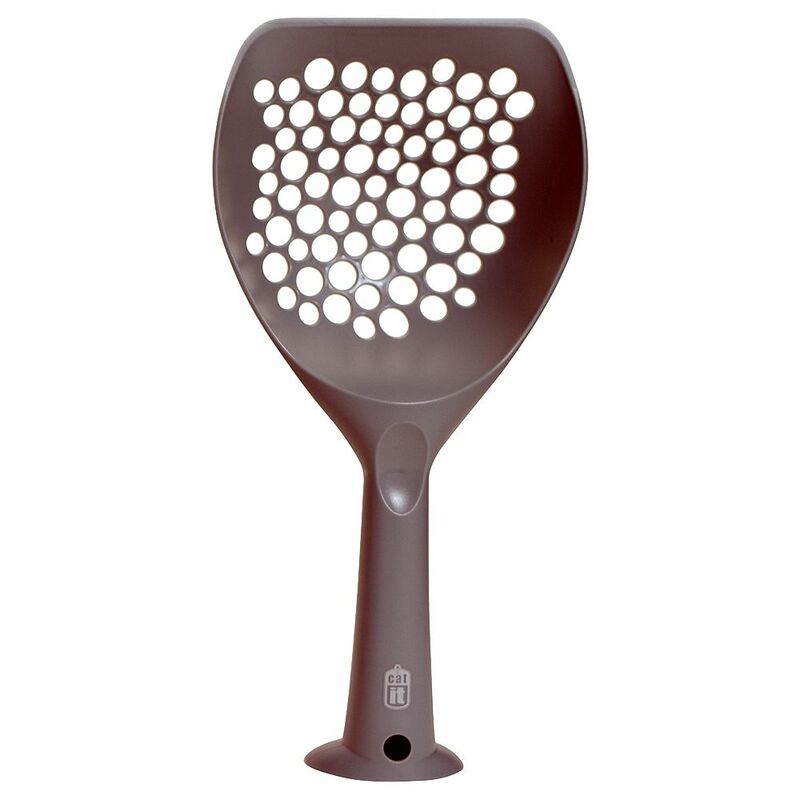 CatIt Litter Scoop at a glance: Material: plastic Size: Total length: 31.5cm Seive: L 15.8 cm x W 15.5 cm; Filling depth: max. 7cm Mesh size: max. 16mm Handle size: L 16cm, max. diameter 3.2cm Flat end allows you leave the scoop standing Hole at the end of the handle for hanging up the litter scoop Large mesh size suitable for coarse cat litter xxL-seive area Very stable Adhesive edge for loosening clumps.